European Waterways is offering a river cruise through Belgium and Northern France to commemorate the 100th anniversary of the start of World War I. 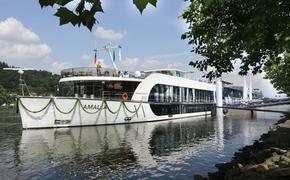 The theme cruise aboard the 12-passenger Panache, May 18-25, 2014, will visit battlefields, war cemeteries, monuments of remembrance and museums. As part of the itinerary, guests will cruise along the River Lys to Ypres and explore the battlefields where German and Allied forces fought. Also on the itinerary is a tour of the site where 23,000 men were killed in battle on July 1, 1916, the first day of the Battle of the Somme, and a cruise along the Canal du Nord, itself the scene of a fierce battle in which the Allied Forces fought the Germans during the Hundred Days Offensive. Additional stops include the site where Lt. John McCrae wrote “In Flanders Fields,” a poem inspired by the funeral of a friend and fellow soldier who died in the Second Battle of Ypres. Travelers will also visit the Menin Gate Memorial in Ypres to attend the ceremony that takes place at 8 p.m. every day, the sounding of the Last Post by the buglers of the volunteer Fire Brigade. There will also be a visit to the Forest of Compiègne, where the Armistice was signed on Nov. 11, 1914, ending World War I.